Let me start by telling you that Camden is even busier on a Saturday than you could possibly imagine! Think crowds of tourists and triple that! 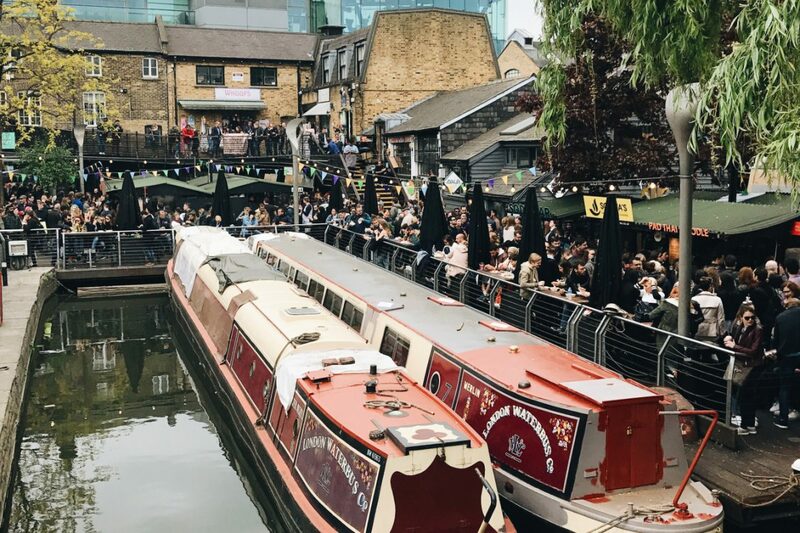 After battling through Camden Town Tube Station, I headed towards Camden Lock and the food market held everyday on the opposite side of the Canal Lock from the station. Given its reputation, it’s not quite as extensive as you might assume it would be, but that’s me being fussy. The quality of the food though is next level. All of which is served up along side 2017 Drake playing instead of live acoustics. Camden became a very hip and cool place with the kids in the late 20th to 21st Century. Therefore, expect your fair share of Urban Outfitters-clad tweens and a handful man-buns. First stop was Oli Baba’s, infamous for their halloumi chips which are, according to them, the “original halloumi fries”. Not gonna lie, I loved them! They are pretty much what they say they are; halloumi deep-fried and served up in a box. I had all the toppings to get my money’s worth which included: greek yoghurt, pomegranate seeds, sunflower seeds and shredded mint. The crunchiness of the seeds combined with the rubberiness of the cheese made the texture something quite special and the cooling toppings contrasted pleasantly with the fattiness of the deep-frying. I tried a couple more snacks as I wandered around eating my halloumi fries, and eventually settled for a main course of Japanese Chicken Tonkatsu Curry from Yu Kyu mmm..! The only times I’ve eaten Katsu Curry have been at Wagamama so I had small past experience. It was served on sticky, white rice with coleslaw and red onion on the side as a salad. The chicken was breaded and the sauce was the perfect mix of sweet and savoury. The portion was an apt size for the two and even then, the bowl was scraped clean. After this feast (! ), I explored more of Camden and left the immediate food market. Down the stairs, behind the lock, there is a larger, more general market and tucked along that street is a veeeery famous ice cream café called Chin Chin Labs, which is said to have “the best ice cream in England” and be “Europe’s first liquid nitro ice cream”! 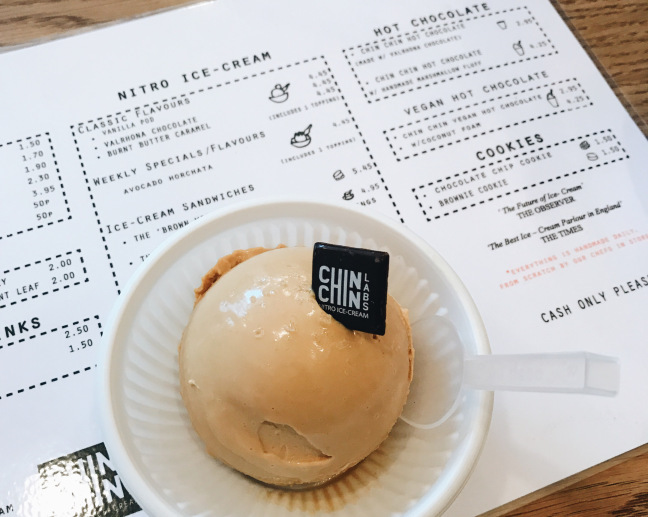 I have to mention Chin Chin. The café feels very much like a science lab, I suppose because the ice cream is made with liquid nitrogen. I had a scoop of the classic Burnt Butter Caramel and had order envy of all those being handed an amazing hot chocolate with a dollop of melted marshmallow atop. 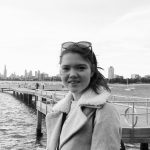 Delving further into the darker depths of Camden Market I found a foodie’s paradise with worldwide cuisine at my fingertips. The smells and sights were incredible and the stall that particularly drew me in was the Indian one. Next time I will definitely be heading back there. I was super thirsty at this point, so I grabbed a berry smoothie from a place with fresh fruits. It wasn’t the best I’ve ever had but it hit the spot alright. Next up, was second dessert; Churros! 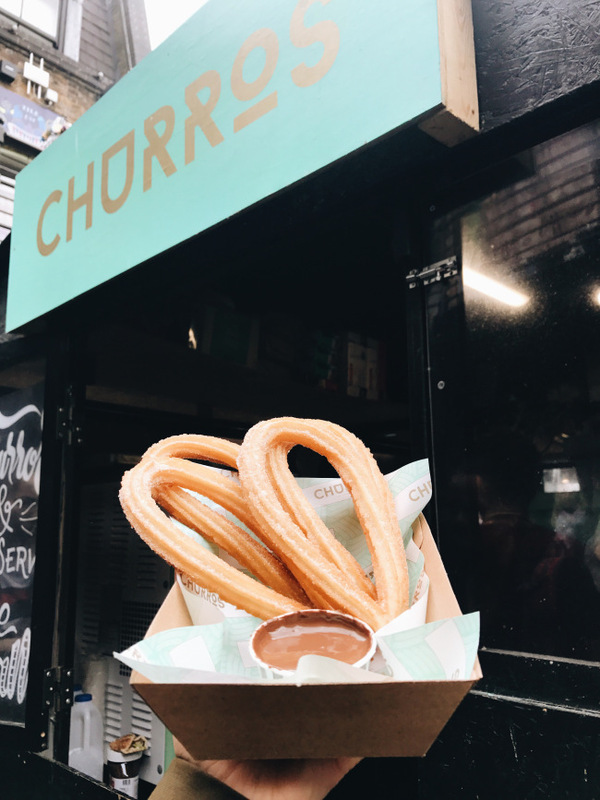 I hit up La Churreria, a Spanish doughnut stall. I’m not sure there was enough room left in my belly to really get the most out of these sugary wonders but nevertheless; they were delicious. I’d had my eye on them since I’d entered the market and was eager to give them a go. I cannot complain, I mean who can, when they’re presented with deep-friend, sugar coated pastries with Nutella on the side? 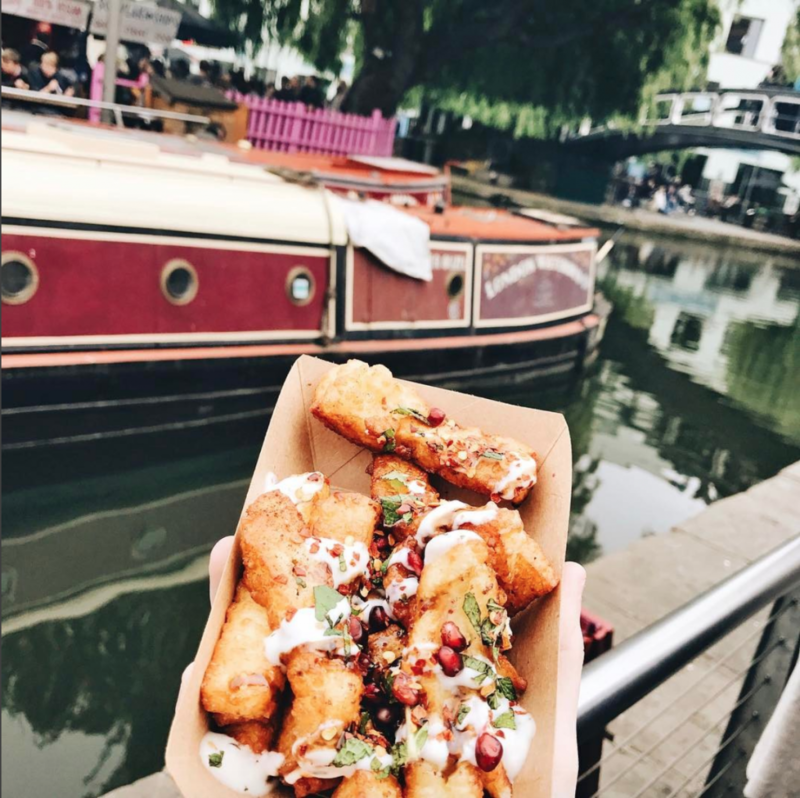 If you’re an adventurous foodie who’s eager to scan the London food scene, or just someone up for a couple of different dishes, Camden Food Market is the place to go.